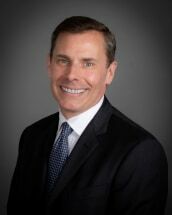 Attorney Adam Page is the Managing Director of the firm's Corporate Department. Adam focuses his practice on corporate, business, mergers and acquisitions and commercial real estate and has extensive experience working with entrepreneurs and small to mid-sized companies. He counsels his clients on matters such as: entity formation and structuring ownership agreements; business disputes among owners; commercial real estate matters including leasing and the purchase and sale of property; corporate finance including both debt and equity investments; mergers and acquisitions; contract negotiations; and employment law including drafting employment, confidentiality and non-solicitation agreements. Adam's clients include both domestic and international companies, technology, manufacturing and consulting businesses, and restaurants. Adam is committed to working closely with each client to structure cost-effective solutions that fits such client's individual needs. Prior to joining the firm in 2005, Adam operated his own business law practice and served as counsel to a technology company he co-founded. He also was previously associated with the former Gadsby Hannah LLP of Boston, in the firm's Corporate Department, and Mirick O'Connell LLP in Worcester. Adam is a member of the Massachusetts Bar Association and the New Hampshire Bar Association. He has co-chaired programs for the Massachusetts Bar Association on employee/independent contractor classifications and the lifecycle of a business, moderated a panel discussion for the Greater Newburyport Chamber of Commerce regarding corporate finance, and has presented to a number of groups on the legal issues involved with starting and operating businesses. Adam is admitted to practice in Massachusetts and New Hampshire, and before the U.S. District Court, District of Massachusetts and the U.S. District Court, District of New Hampshire. He received his J.D. degree from Boston College Law School in 1998 and his B.A. from the University of Vermont in 1990. Before attending law school, Adam spent several years in public safety. He served for four years as a Trooper with the Vermont State Police, assigned to the Middlesex Barracks. While at the University of Vermont, he was a volunteer Emergency Medical Technician with UVM Rescue, a student-staffed advanced life support ambulance service.